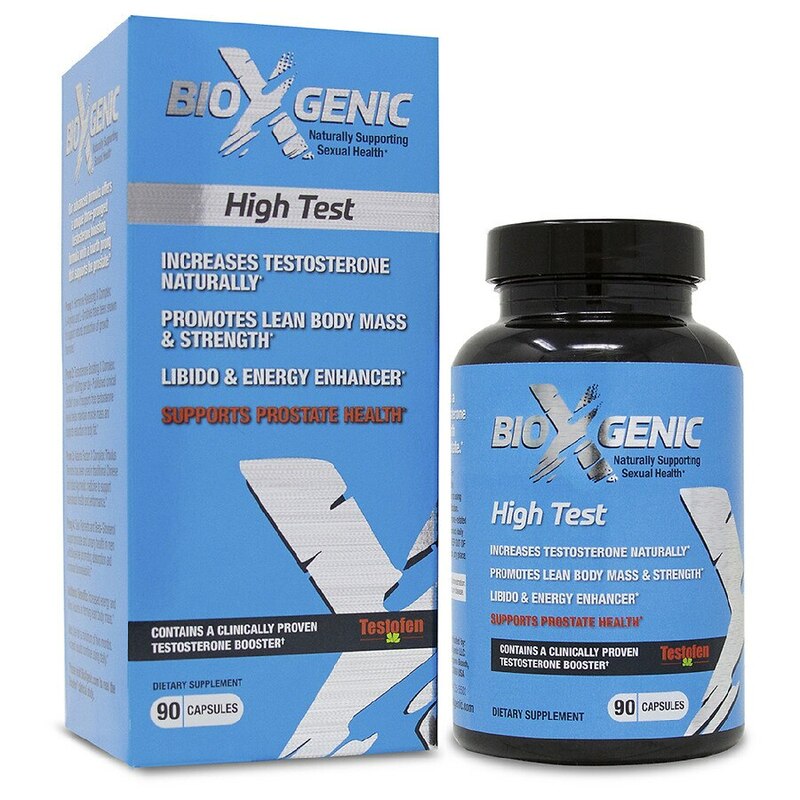 BioXGenic High Test is a multi-purpose daily supplement for men with an advanced, revolutionary three prong testosterone boosting formula. It also has a unique fourth prong offering prostate protective factors. The result is naturally increased testosterone, leaner body mass, and increased energy and libido. Specific amino acids have been shown to help induce production of growth hormone. L-Arginine helps increase levels of growth hormone in the body. It promotes tissue repair acceleration to help reduce recovery time following an injury. L-Ornithine helps increase human growth hormone levels. Also helps reduce fatigue following exercise. Testofen 600 mg per day — Published clinical studies* show it supports free testosterone levels, helps maintain muscle mass and supports reduction in body fat. Tribulus terrestris has been used in traditional Chinese and Indian Ayurvedic medicine to help with stronger, more frequent erections, promote a higher volume of ejaculate and help improve muscular density. Helping to increase testosterone can also cause prostate growth so this prong promotes added protection for men over 40. Saw palmetto supports prostate and urinary health in men. Beta sitosterol can bind to the prostate and help reduce inflammation. Bioperine® — helps maximize absorption and support an increase bioavailability. Bioperine is a trademark of Sabinsa Corporation. Testofen and Fenuside™ are trademarks of Gencor. Take 3 capsules daily. For supporting maximum effectiveness, this product should be used daily. For Men Only. Not to be taken by those under 18 years of age, or those with hormone-related cancers. Use as directed. If you are using any prescription drug, or have a medical condition, consult your doctor before using this product. Keep out of reach of children.